"Man HAS No Understanding, Dr. Zira! He Can Be Taught A Few Simple TRICKS Nothing More!" COMICS! Sometimes I'm Just Glad I Don't Have Ka-Zar's Vet Bills! 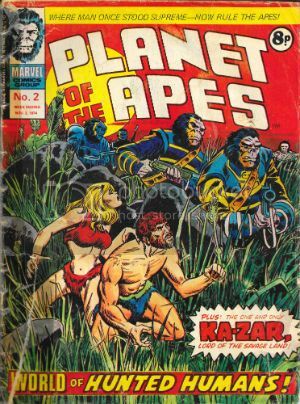 In which Doug Moench and George Tuska continue to place scenes from the 20th Century Fox motion picture Planet of the Apes in front of you with all the vigour and drama of a tired vice cop at the end of his shift showing you mugshots while preoccupied with remembering where he stashed that fifth of Old Grandad. (No one's judging you; we’ve all been there.) Once again then, it’s Yeoman’s work all the way, with such little spark on the part of the art that at times Tuska’s people are so drained of emotion and animation they resemble big, stiff dolls. Still, George Tuska does wrench himself out of his torpor for a couple of panels where Taylor reacts badly to talk of brain surgery and experimentation but that’s the last page. To be fair, George Tuska had his moments. But few of them are on these pages. I know I said that’d be in the last one; I’m just keeping you on your toes. While faithful replication remains the paramount concern of the adaptation overall, there's still quite a bit of chicken fat about this thing. Everything feels dragged out as though the problem isn’t the allotted space but the filling of it. I guess this is why Moench expands on the movie dialogue to ensure every point is made at such ambiguity trepanning length that the movie seems subtle in comparison. (And it’s very much not a subtle movie; it isn’t supposed to be.) Turn that CAPS LOCK off, Moench fans, because I might seem to be giving Moench a hard time but, luckily, he does most of the Marvel Apes material and I’ll be saying far nicer things further down the line. Sure, this is just a weird isolated chunk of a story transformed into an episode by the weekly nature of UK comics production but there’s still a good bit or two. Certainly the bits where the chimpanzees are arguing about tenure, office supplies and quota systems was funnier after several decades sitting at a desk praying for my pension to kick in than it was at age four. While there are bits to like here, they were already in the movie. There’s nothing yet about the adaptation as a comic to cause anyone to start bouncing up and down, teeth bared, while slapping the top of their head. So far even the action scenes have been consistently spuffed down the comic’s leg. This issue's section is mostly talk, and it's all so enervating you pine for the inactive action of last issue. Tuska’s art is just too tentative here to engage for long when limited to talking heads. Heck, they are talking ape heads and still my mind wandered off and…well, I hope it gets back soon, I kind of need it. Meat‘n’taters this strip remains then. OKAY! The personal highlight of issue 2 is Gullivar Jones, Warrior of Mars by Gentleman Gil Kane and Rascally Roy Thomas. Now y’all know by now I’m a bit of a one for a GilRoy© Joint, but what y’all don’t know is this particular GilRoy© Joint is the exact and precise one to blame. But before we get to that we have the bit where I prove I can look stuff up on the Internet - this strip originally appeared in issues 16 to 21 of Creatures on The Loose in a series of 10 page instalments with the rest of the comic bulked out by reprints. The perfect size for its slot in PotA-W. This is the one about a Confederate yanked off to Mars where he meets a steel bikini clad princess and kills the stuffing out of a load of bad dudes. It is not to be confused with John Carter of Mars which is the one about a Confederate yanked off to Mars where he meets a naked princess and kills the stuffing out of a load of bad dudes. The two are not to be confused largely because Edwin Lester Arnold’s Gullivar Jones: His Vacation was published in 1905 and Burrough’s (Edgar Rice not William) first John Carter book arrived in 1912. I think, I was kind of losing the will to live reading about all that so feel free to correct me if I'm wrong. Anyway, I'm sure they are totally different because the last thing we want is lawyers developing time travel so they can go back and get dead people suing each other as well. Because they will. They will. Hasslein knew. The similarities between the two properties are certainly, um, arresting but then I don’t know how faithful GilRoy©’s adaptation is; there’s always the possibility they blended the two. Gil Kane’s on top form here despite the muting effect of the B& W art’s none too precise reproduction. I think some of it’s been redrawn to make it pop out of the monochrome slurry the colour has become, and I’d suggest there looks to be some redrawing around the cups area of Heru's bikini as well if that didn’t make me seem like a creepy weirdo. ( I am a creepy weirdo, of course, but apparently lot of adult life is spent hiding what really you are so no one burns you in public.) Mostly though, I’d say Gil Kane was into this one, which I certainly was. So much so that I know this strip here is where Gil and I struck up an immediate bond; one whereby I would forever after be willing to pay him for his services. Hmm, that sounded a lot less seedy in my head. Because I remember (and I do remember this) reading this exact strip in this issue and feeling Kane’s hit me like Larkin's “enormous yes". Seriously, somewhere in pages 4 and 5 I was lost; Gil and I were in bonded by the chains of art/commerce for life after that. So, you know, if I can just address every comics publisher everywhere, I find the lack of Gil Kane reprints pretty ridiculous. Sort it out, please. Pronto, if you would. We’ll take about Gil Kane more later no doubt, no doubt. But what about Roy? Roy Thomas plays a big part in making this strip work as well as it does, and I think it works pretty well. I like Roy Thomas; Roy’s okay by me. He likes order to excess and can probably find his apple peeler in the dark but he can write. He can write pulp, anyway. There are plenty of words on these pages; perhaps too many for today’s prose averse readers, but I like ‘em and I think they’re needed. It’s written in a really butch pulp style - this prose stops off in a bar after a hard day riveting to catch the game and sink some brews; this prose buys its shoes by mail because no way is another man touching its feet; this prose wonders why Walter Hill never won an Oscar; this prose totally tucks hard packs of cigarettes under its rolled up sleeve; this prose is macho stuff all told. Which is great, it keys you in, it cues you up - this is beefy pulp action soaked in bourbon, and apologies and poetry aren’t happening tonight, baby! And that’s intentional, “With a cording of throat muscles” is no one’s first choice of wording. We all know what he means but how he says it means something too. Writing there; it’s not just putting one word after another. Gullivar isn't like Roy, Gullivar doesn’t work with words, he works with his hands and his hands are killing hands. Thomas' lurid insight into the mind of the protagonist makes it a much richer and more immersive experience. It's still pulp nonsense but you're paying attention. Here the clumsy carnality of Thomas’ prose couples with the sensual elegance of Kane’s practically throbbing visuals to make a heated experience indeed. Captions aren’t always necessary but also captions aren’t always redundant; captions are a tool - one of many. You choose the right tool for the job. And Gullivar Jones is a right tool. Or something. 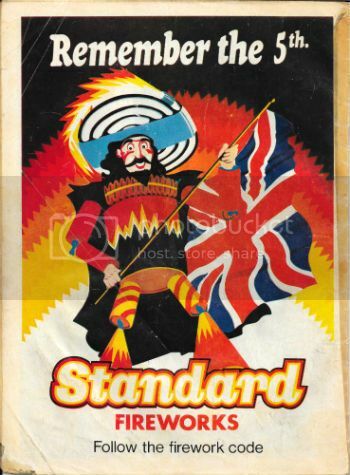 Someone should reprint this stuff, it's VERY GOOD! This starts off with one of those great full page panels which make no sense whatsoever if you think about it for a second - Kraven is thrusting a newspaper at the reader and bellowing about something that’s really getting his balls in an uproar. But, and trust me on this, we aren’t actually there so I don’t know what that all’s about. It’s like we aren’t meant to take it literally or something! 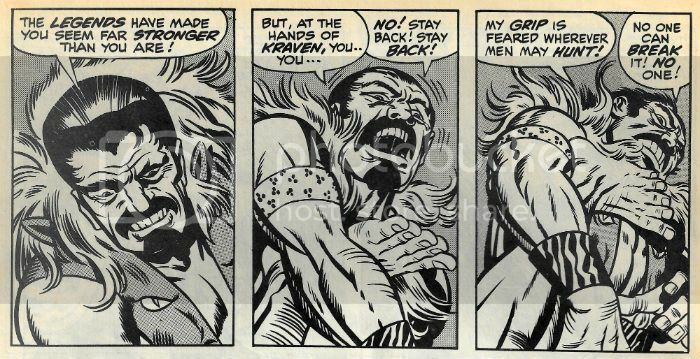 Turns out Kraven is on his own in his Kirby-esque study built of, as so many Kirby studies are, antique Lego. Kraven’s plan is to talk out loud about everything he knows concerning Ka-Zar into a “recording device” and when he’s done that, having kick started his little grey cells into unconscious ratiocination, I guess, he will know where Ka-Zar and Zabu are. As plans go this seems pretty flimsy, but it works so, hey, what do I know. Surprisingly, despite being dressed like an Earth-2 Liberace Kraven doesn't want to adopt Lord Peter Whimsy (aka Ka-Zar); Zabu is his real target because, well, Kraven has issues - check out his name! He’s gonna find that sabre-toothed tiger and give it a good wrasslin’! Just a fun collision of images in my head with no deeper meaning or import, I’m sure. But I think we can all agree that Kirby’s use of the foot there is pretty funny. There’s no way this strip wasn’t driven by Kirby’s art and the proof is in the patter Lee provides. Patter which is almost puce in the face as it struggles to both keep up and pretend something sensible is happening. Nothing sensible is happening here but who gives a cheesy toupee when there’s a whole lotta Kirby goin’ on ! GOOD! BONUS: Rejected visual pitch for Just Imagine...Stan Lee Creating V For Vendetta! NEXT TIME: George Tuska starts livening up! Jack Kirby clearly has other things on his mind! And Gil Kane's work forces me to don flame retardent pants! All this and a whole lot less in Part 3 of Planet of the COMICS!! !